Quantum Break is coming on Steam as well as in retail stores on September 14. 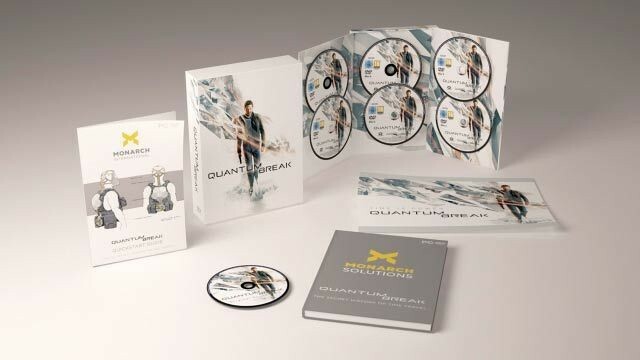 The Quantum Break Timeless Collector’s Edition will be priced at $39.99. Timeless Collector’s Edition will include five game discs, along with a Steam key, a quick guide to the game, a behind-the-scenes book and Blu-Ray, two posters and the game’s soundtrack on CD. All of the post-release updates for Quantum Break will be included for the retail and Steam editions of the game. The Remedy game supports DirectX 12 on Windows 10, but according to official post game will run on DirectX 11, which should allow players on Windows 7 and 8.1 PCs play the game. The game is already available on Xbox One and PC (through Windows Store).